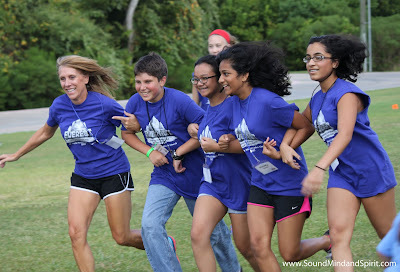 It was a crazy, awesome, amazing, wonderful, and inspiring week! Kids, teens and adults at our parish learned about Conquering Challenges with God's Almighty Power at Everest VBS. 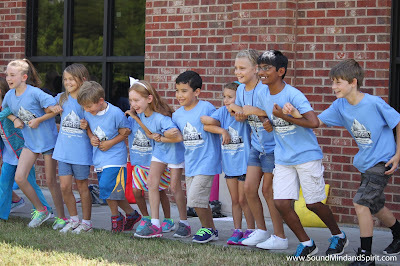 You want to know why I've been director of our parish VBS for four years? What keeps me coming back even with the demands on my time and sometimes stressful planning? It is because of days like these. Days when you hear and see that the kids are getting the message of God's infinite love. heal us. It gave me goosebumps. When I got home Wednesday night and looked through my pictures, I saw something else that brought tears to my eyes. JOY I saw joy on the faces of the kids. But not just the kids, on the faces of the teens and adults. I started out this week fighting a terrible head cold and struggling to get through the VBS on coffee and adrenaline but seeing what I had captured with my camera changed my week. My head cold was forgotten and I was powerfully reminded why we were working so very hard on something many people discount as just frivolous fun for the kids. VBS is fun! But it is so much more than that. 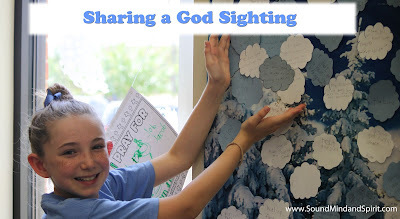 VBS is fun, but it is so much more than that. It is about leading kids closer to God. It's about creating relationships with our faith, God and each other in a fun and real way that kids, teens and adults can understand. 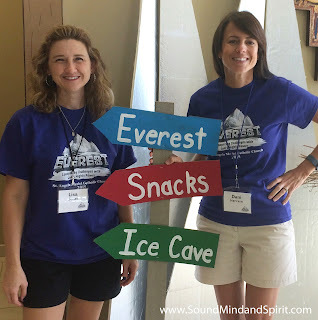 VBS is special to me because of how it enhances each lives who participate. I promised myself I wouldn't write another long post about how VBS changes us so I won't, but go back and read Why VBS is Special to Me for more about why VBS is so great for the whole church. 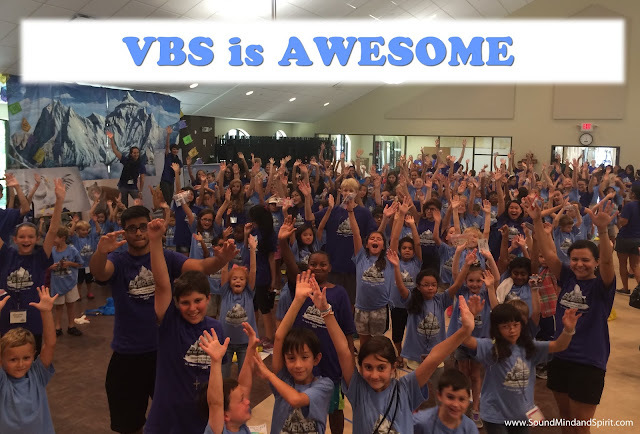 If you do not have VBS at your church or parish, do what I did and start it! Not just for the kids, but for the entire church community. The rewards greatly out weigh the hard work. 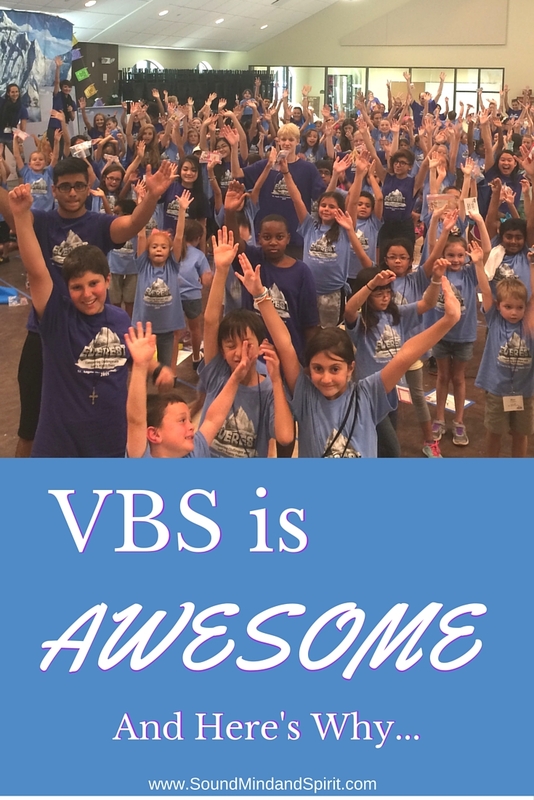 Our Sunday Visitor has teamed up with Group to produce a Catholic VBS version of Group's most popular VBS program each year. They made it so easy to follow and start from scratch. A huge heartfelt THANK YOU to all of our volunteers. I am always amazed at the people who are called to help make VBS a reality in our parish. We started out four years ago having to beg people to come help but now we have so many volunteers we create new jobs for them to do. 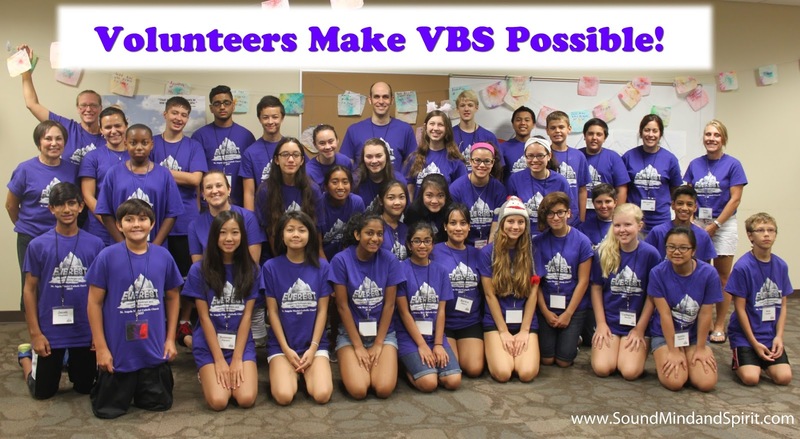 (Remember, never turn a volunteer away!) I hope you know just how appreciated you are. We can't wait to have each of you back next year! 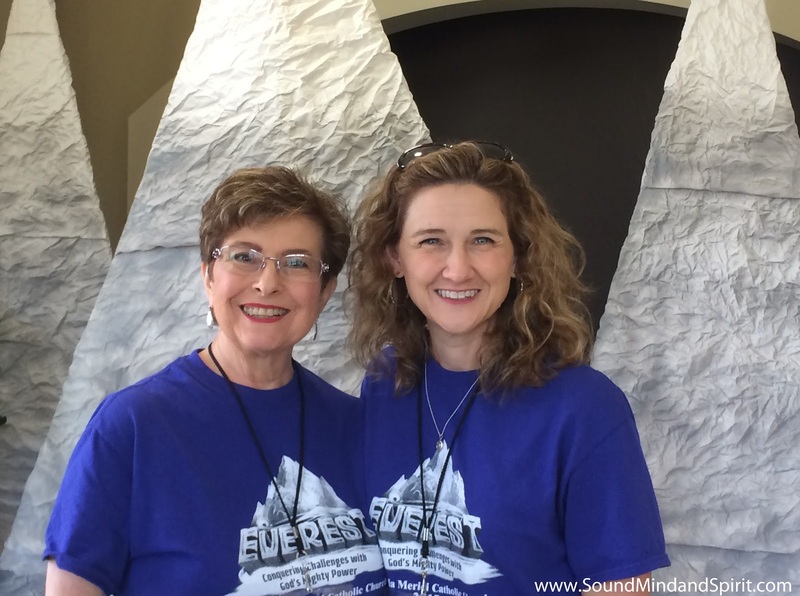 A quick shoutout to my mom who always gives up her birthday week to help at our parish VBS. Thank you MOM!!! 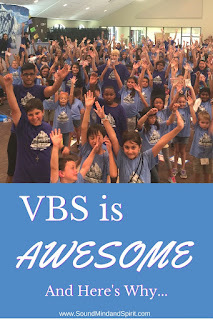 Now that VBS is over for another year I am exhausted but filled with joy. It was worth every bit of stress and work. I am also filled with a sense of appreciation. 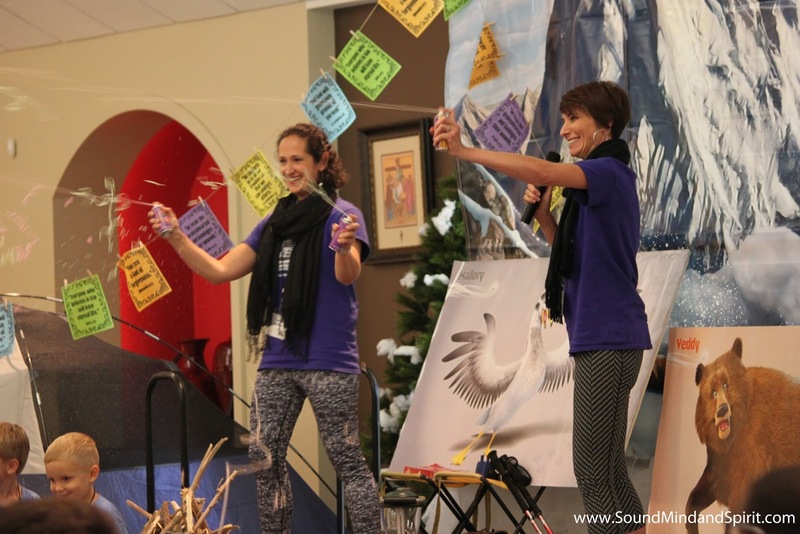 Earlier this year I announced it was to be my last year as VBS director for our parish. I was terribly nervous that no one would step up to fill the director spot, but as it turns out my timing couldn't have been more perfect. Someone else was discerning their volunteer involvement in our parish and my announcement was a sign to her. 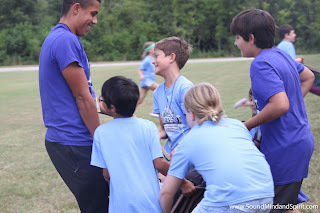 Not only did God provide a new VBS director for our parish, but he provided me a new friend. I am looking forward to supporting her next year as the kids Follow Jesus, the Light of the World in Cave Quest VBS. Dani - you will be amazing!!! So much more to write about VBS that I want to explode, but I won't do that to you. Instead you can head over to see more pictures of our VBS on our parish Facebook page.